When the Greek Revolution began, an island offered up its entire commercial fleet – the third largest in Greece after those of Hydra and Spetses – to the struggle for liberation. That island was Psara! 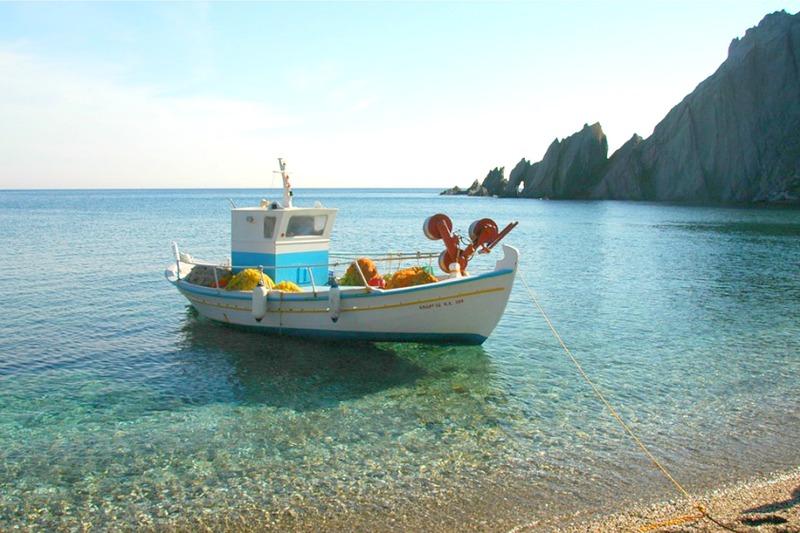 Travel guides describe the island as “a dot in the sea, far away from established tourism destinations” – but that is only half true, because on this dot shrewd travellers from around the world discover – or, better yet, create – their own personal paradise, with the materials offered by the untamed nature of the Aegean Sea. The people of Psara are, first and foremost, proud of their glorious past. The revolutionary flag of 1821 – white and red, with a cross and an anchor wrapped by a serpent – welcomes visitors at the harbour, reminding them that the history of this island is interwoven with the history of its untamed soul. Continuously inhabited since the Mycenaean era, as shown by the significant archaeological finds from the cemetery excavated in Archontiki Gulf, Psara provides travellers with a precise dose of serenity and splendour – and that’s not all. 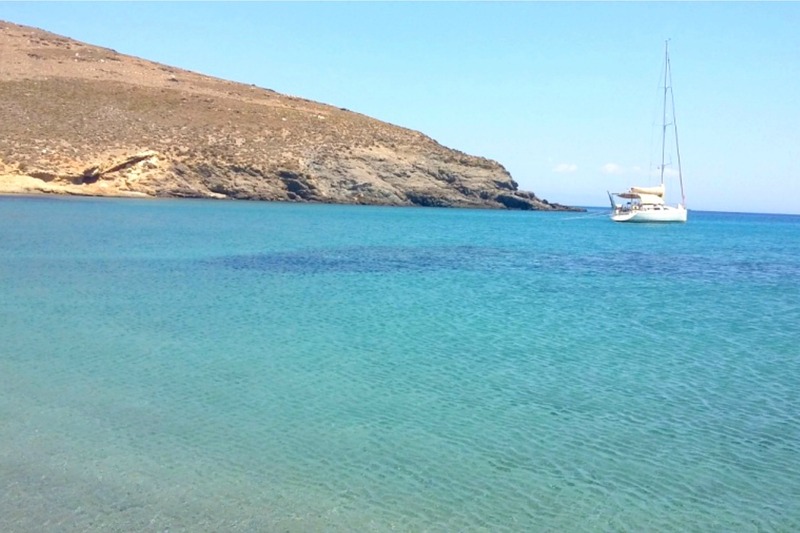 The residents’ helpful disposition is legendary, while the island’s beaches are never too crowded, whether one visits the popular beaches of Katsounis and Kato Gialos, with its local beach volley tournament, or Lazaretta, with its fine sand and seashells, Lakka or Lemnos beach. Fans of underwater fishing will discover a true submarine treasure in the countless skerries that surround the island. 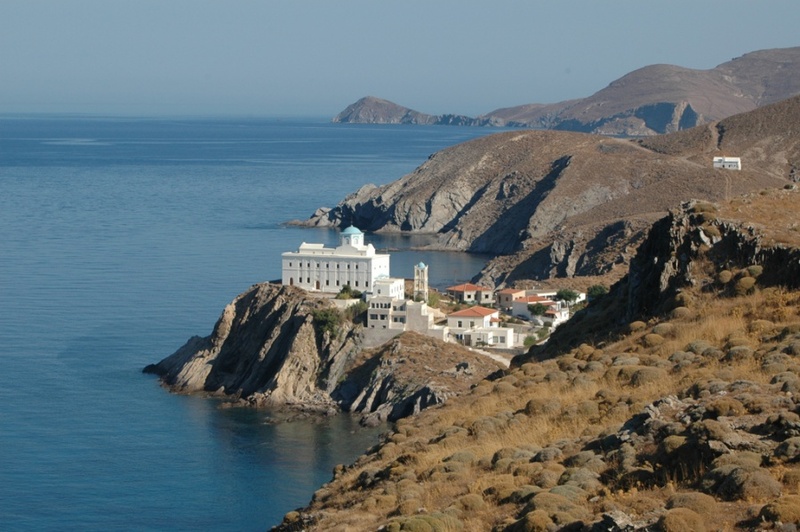 Hikers will appreciate the simple beauty of the Church of Agios Nikolaos, with its sixty steps, built in 1793, and the Monastery of the Dormition of Virgin Mary, with its rare manuscripts and religious books preserved, books printed in Moscow and Venice. During the historic destruction of Psara, the only thing to survive was the icon of Virgin Mary crafted by El Greco, which was smuggled out to the island of Syros, where it remains to this day. At Psara, one can sample the tastiest seafood ever, as well as the most affordable lobsterpasta in Greece. You can sample local cheese produce by trying mizithra cheese and kopanisti dip and find yourself in agreement with connoisseurs who support that the thyme honey of Psara, which is only harvested once a year, is at the pinnacle of honey production in the entire Mediterranean.